Katambora (Chloris Gayana) is a diploid, originally from Zambia. A leafy, densely growing variety with long, relatively thin stolons. Late maturing variety with a vigorous stolons (more stoloniferous than Callide Rhodes). 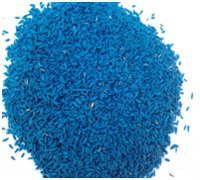 Selected for its drought tolerance and very rapid growth rates. High spring and summer yields, showing excellent persistent under grazing systems. 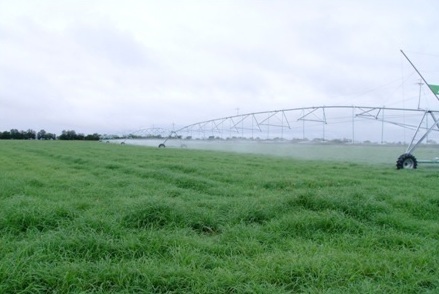 Katambora is suitable for hay production, establishes and covers rapidly and persists well, even at low fertility. Katambora Rhodes grass forms strong bunch-type stools, its runners rapidly cover the ground surface, anchoring at the nodes and producing and plantlets. Its vigorous root system gives a degree of drought resistance, but it performs best in the 700~1,000mm belt. Katambora shows moderate frost tolerance, but is primarily a summer grower. It is quite versatile in its soil requirements, although it grows best on softwood scrub red loams and the stronger brigalow soils. Katambora is quite salt tolerant, and is one of the best grasses for sowing on earthworks. Katambora will combine with B1 Burgundy, Stylo, Lotononis and Wynn Cassia in coastal/sub-coastal areas of higher rainfall and with lucerne in inland districts. Crude protein levels vary with age of regrowth and level of available soil nitrogen, from about 17%(on a DM basis) in very young leaf, to 3% in old leaves. Similarly, digestibility may vary from 80% in very young growth to 40% in older growth. 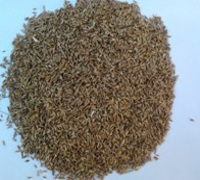 Seed of the diploids (Katambora) has little or no post-harvest dormancy,while seed of the tetraploids (Callide) may not reach maximum germination for 3~6 months (sometimes up to 18 months) after harvest. Seed is best sown on the surface (definitely no deeper than 1cm) of a well-prepared seedbed, followed by rolling. Seed germinates in 1~7 days and seedlings develop rapidly. Katambora can carry about 1~4 beasts/Ha depending on pasture productivity and size of animal. Annual live weight gains of up to 170Kgs/Head are achievable. Production levels decline without a vigorous legume or the use of fertiliser nitrogen. Toxicity: None recorded. Although Katambora can survive on infertile soil it is very unproductive and may eventually die out, particularly if grazed regularly.Katambora responds to Phosphorus in poorer soils and gives a linear yield and crude protein response of up to 300Kg/Ha of Nitrogen, if other nutrients are adequately supplied. 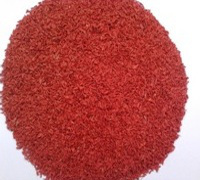 Split applications, each of 50~100Kg/Ha N, are normally used when economically feasible. Katambora is very tolerant of cutting or grazing. The stand should be maintained in a leafy condition by fairly regular cutting or grazing, since feeding value declines rapidly with onset of flowering. However, too frequent cutting or grazing (say every 14 days) leads to production losses and stand decline. Annual winter legumes are favoured by heavily grazing the pasture in late summer. It makes good hay if cut at or just before very early flowering,giving up to 6,25 to 50day harvests. •Highly stoloniferous,versatile and earlier flowering than Callide. •Greater drought tolerance and ability to grow lower fertility soils. •Withstands soil/moisture variations and periodic water logging.